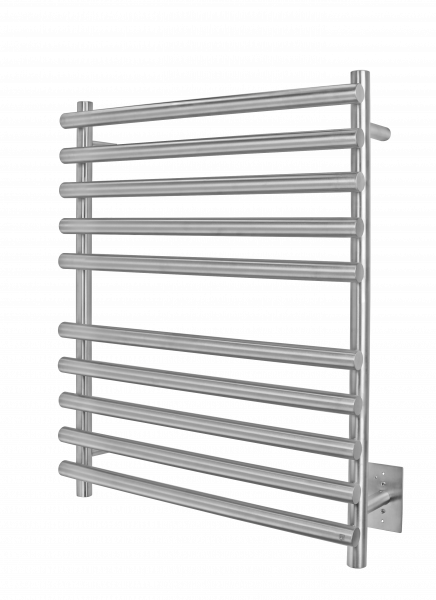 Radiant heat product manufacturer WarmlyYours has unveiled a new line of modern towel warmers called the Cosmopolitan Collection. The manufacturer says the biggest factor that separates the Cosmopolitan Collection from other WarmlyYours towel warmers is that this line will only be available for purchase from authorized dealers. The Cosmopolitan Collection of electric, wall-mounted towel warmers features 10 unique variants from eight new models, the company says. Each one represents a wide variety of different options including sizes, designs, bar-counts, and finishes, making it easy for designers, remodelers, and end-users to find the right option that works for them. Billen says the collection was specifically developed to strengthen the company’s relationships with professional customers such as kitchen and bath showrooms, designers, architects, and other radiant heating dealers.